My husband has to travel for work to Rio de Janeiro, and I get to tag along. In honor of this exciting trip, I’ve been rereading Clarice Lispector, a Brazilian writer with a justifiable cult-like following. Published in 1977, the year she died of cancer at age 56, The Hour of the Star is Clarice Lispector’s final say. The novel is narrated by the overbearing Rodrigo S.M., who tells the story of Macabea, a poor young woman living in the Rio slums. 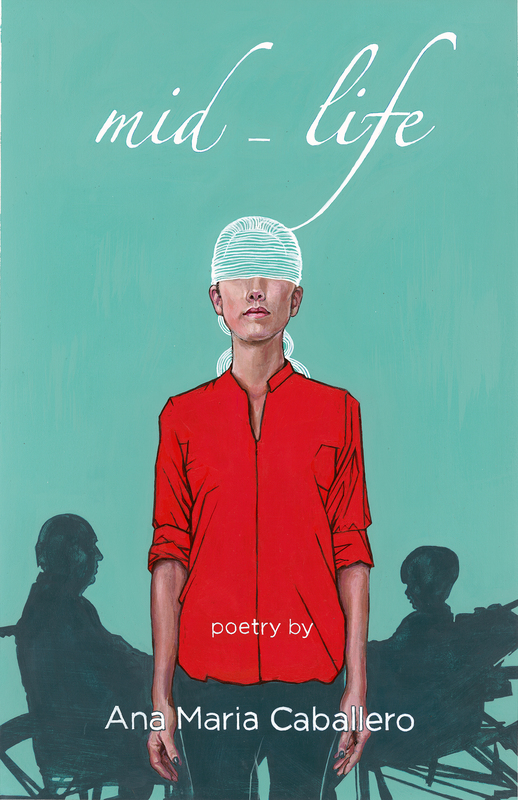 Rodrigo is fascinated by Macabea’s miserable existence, the more so because she does not view her life as such. I forgot to mention that the record that is about to begin…is written under the sponsorship of the most popular soft drink in the world…Despite the fact that it tastes of nail polish, toilet soap and chewed plastic. None of this prevents people from loving it with servility and subservience. Also because — and I am now going to say something strange that only I can understand — this drink which contains coca is today. It allows people to be modern and to move with the times. …America started the tradition where the richest consumers buy essentially the same things as the poorest. You can be watching TV and see Coca-Cola, and you know that the President drinks Coke, Liz Taylor drinks Coke, and just think, you can drink Coke, too. It is wondrous to think about a time when Coca-Cola was new. It is also wondrous to think about a time when smart people were writing about what it meant for everyone to be drinking Coca-Cola. Today, apart from the health-related issues, we don’t really think about what it means for the entire world to drink Coke. We may talk about not liking it, but it already happened. It is part of every beach becoming the same beach and every airport becoming the same airport and every supermarket having the same thing. To me, people baring their souls is a beautiful thing. Much like people wanting to, and being able to, drink the same soda is a wondrous thing. Sure, both may have unsound results at times, but both serve as proof that, more and more, the future can belong to just about anyone. That sounds very French! Although everything tastes better in France, I must admit. 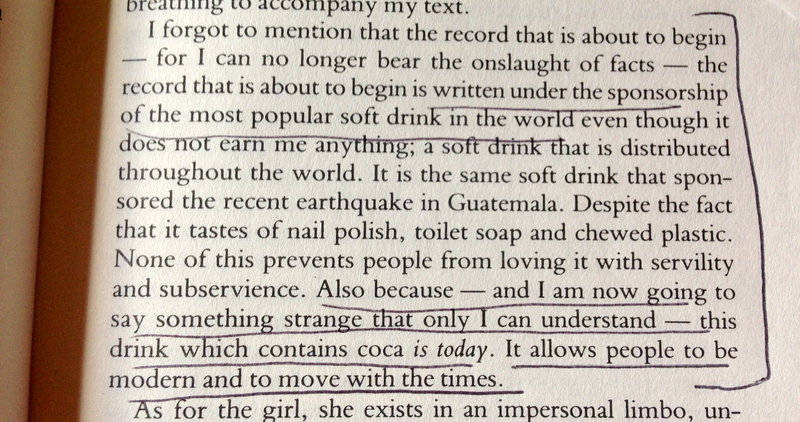 I really recommend Lispector if you have not read her. Her short stories are great. Enjoying some time catching up on my Drugstore Notebook reading. Thank you for alerting us to so many books. I loved this Warhol stuff, among other things. 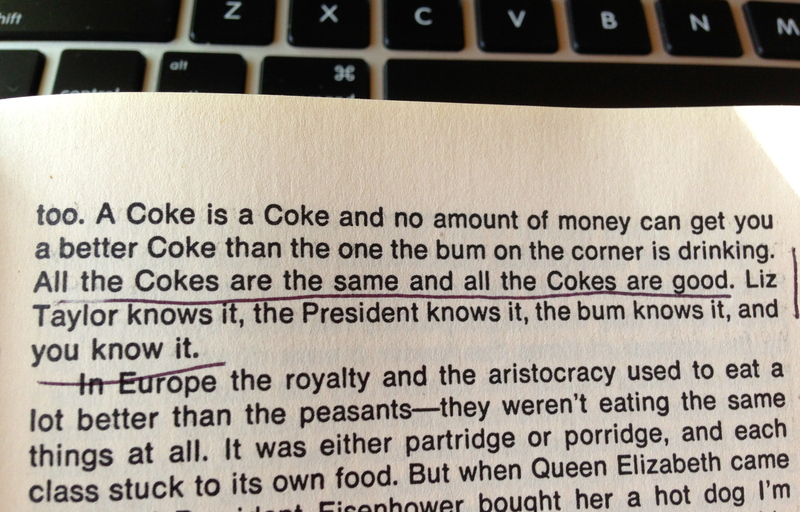 I would note, however, that all Coke is not the same, or at least it is believed (e.g. by French Coke lovers) that the recipe is a literal different in different countries (i.e. Coke tastes better in France than in US). Very nice lines in your poem too (lines recopied below). Her work is amazing. Her short stories are mind blowing. Happy reading!! And thank you for visiting and following my blog. Thank you Ana – Clarice Lispector is now on my bucket list.